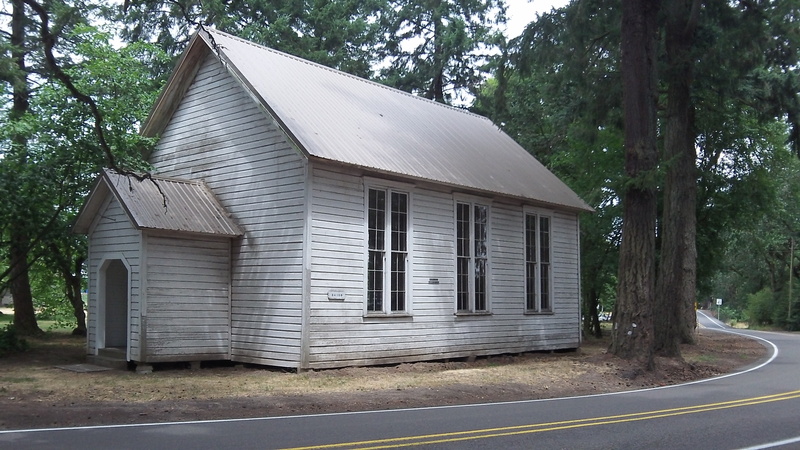 The Orleans Chapel has stood for more than a century now. History is closer than we think. Though not exactly original, that thought occurred to me when, on a bike ride the other day, I stopped and nosed around the old town site of Orleans. On Riverside Drive just north of Highway 34, the site amounts to the Orleans Chapel and the Cushman Cemetery, both dating from around 1900. That was about 40 years after the flood of 1861 wiped out the town of Orleans itself. Meandering through the cemetery, I happened upon a prominent headstone. It marks the grave of Leonard and Katharine Falk, and it was the dates on the marker that made me think how short history is. That’s not quite how census records spelled Mrs. Falk’s name. 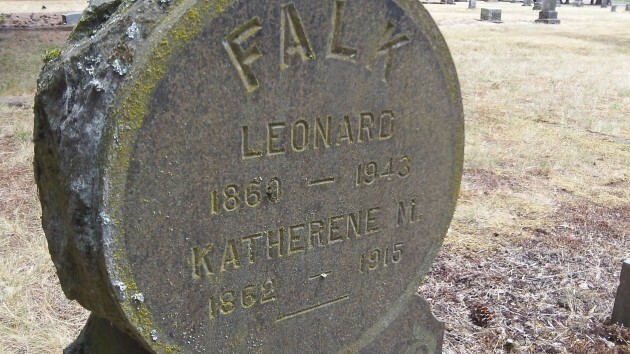 When Leonard Falk was born in Wisconsin in 1860, the Civil War was still almost a year off. He died in 1943, not quite two months before, half a world away, I was born. So, today we’re less than two full lifetimes removed from the war to preserve the Union. No wonder the country can still have controversies over things like the confederate flag. On a website called Joanne’s Genealogy, I learned a little about the Falks. Leonard’s parents had come from Prussia, a part of Germany before it was a united country. Now it’s a part of Poland. Leonard and Katharine were married in 1883 and later moved from Wisconsin to Iowa. The 1910 census showed them in Oregon, Orleans precinct. They were farmers, and by that time they had nine children, all living and seven still at home. Amazing article! Thank you for doing all of that fascinating research!! I will now put this on my “list of things to see” in and around Albany!! Dates of death and birth can often really startle one. On the anniversary of the date of Lincolns assassination I wondered how many years had passed between that date and my birth – let’s see1865 from1932 – wow only 67 years!!!!!!!!!!!!!!!!! Time flies. It has hit home to me over many years how close we really are to history. One such fact hit me in 2003 when Gertrude Janeway died. At that time she was one of the last surviving Civil War widow. That’s right, in 2003, she was still receiving veterans benefits her husband earned due to his service in the Civil War in the 1860s! Fascinating indeed. The Orleans church was built from the materials of the chapel that stood originally where Whitespires church now stands (corner of 5th and Washington) When the current church was built in 1891 the old chapel was torn down. Supposedly the pews and other items at the Orleans chapel date to the 1850s Presbyterian chapel that the Monteiths (Albany’s founding fathers) built. The Orleans Chapel has gotten some recent renovations. And a wedding was just performed there. I only know that because we provided the outfits for the groom and his groomsmen.